This Gizmo takes an input 3D model. 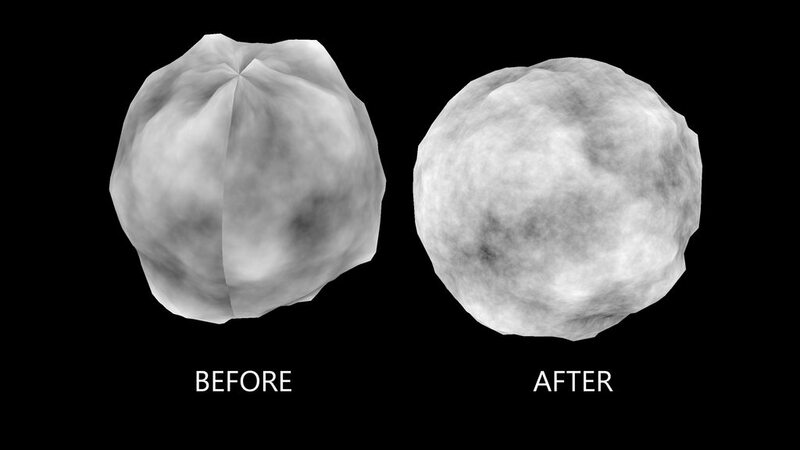 And renders a worldspace 3D noise to your model's UV space. This image can be applied as a material directly through the gizmo, or the image itself can be output. You get control over what you want for your alpha channel, and all the usual controls of a noise node. The noise being in worldspace means it doesnt care what UVs your model has, though it WILL need some to be able to render the texture at all. Special thanks to Matt Estela, for the information in his Expressions tutorial Which was very helpful to the creation of this. Note that in the preview image above the displacement was added after the output of the node, using the texture the node exports. The node does not do the displacement on its own. Also note that being worldspace means that the noise will move if your object moves. But nothing is stopping you from frameholding a singel frame of the texture to apply later.